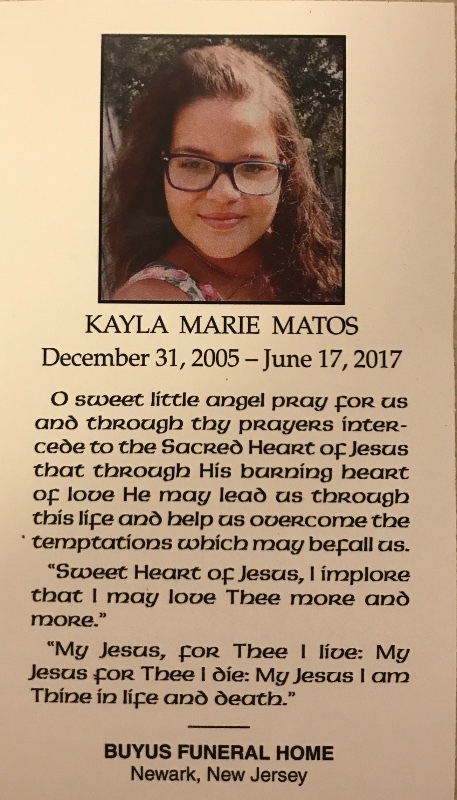 A very sweet, angelic girl Kayla Matos was taken from us way too soon. She was, and continues to be, extremely loved by her family, friends, and school. She touched lives of so many. Please help us raise money for her family as we all grieve during this painful time. Any donation is greatly appreciated. Thank you for your blessings. On behalf of the Matos family I would like to extend a sincere heartfelt thank you for your generous donations to help support the family during this very difficult time. At the request of the family I will be closing the account and forwarding all donations to them later today. Once again thank you for your blessings and well wishes and remember to always tell the ones you love just how much they mean to you. Thank you for your generous donations. I know the Matos family will be extremely grateful for this kind gesture. No money in the world will take away their pain, but all of your contributions will help them cover some expenses during this very difficult time. Please continue to pray for Kayla and her family. May they find peace and comfort in their memories with her. 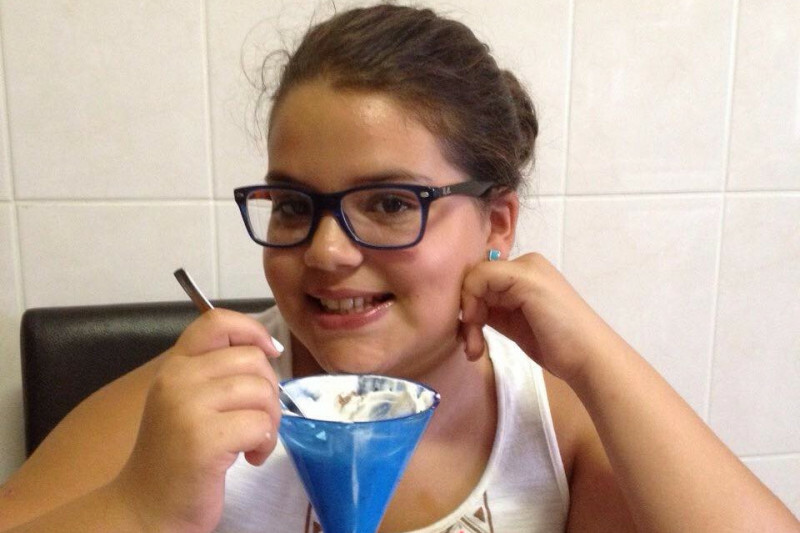 Kayla Marie Alves Matos, 11, passed away on Saturday, June 17, 2017 at Community Medical Center in Toms River, NJ. She was born in Newark, NJ where she was resided with her family in the Ironbound Section. Kayla was a Super Honor Roll student in the 5th Grade at Ann Street School in Newark. Daily, Kayla went above and beyond by assisting her teachers both before and after school, she was in dance class and also was a member of the school Chorus. She attended CCD at Our Lady of Fatima Church, Newark and was a Junior Girl Scout of the Our Lady of Fatima Church Girls Scouts of Troop #20141, part of the Heart of New Jersey Girls Scouts of America. Beloved and devoted daughter of Antonio and Paula (nee Alves) Matos; devoted sister of Ana Matos; cherished granddaughter of Julio and Lucilia Larenjeira and the late Dulce Cardoso and Alipio Costa; dear aunt of Hailie. Also survived by many dear aunts, uncles, cousins and friends. Relatives and friends are welcome to attend the Funeral on Thursday, June 22 at 8:30 am at the Buyus Funeral Home, 426 Lafayette St., at Wilson Ave., Newark Thence to Our Lady of Fatima Church, Newark, where at 9:30 am the Funeral Mass will be offered. Visitation will be held on Wednesday, June 21 from 5 - 8 pm.